Inventory management is tough task; but with the help of the right inventory app, you can manage this tough job pretty well, without any jerk or hiccups. Meticulous inventory management is the key to successful business management as well as a way to stay cost efficient. Fortunately, there are apps that can help you enjoy in inventory management even from your iPhone. Among the wide varities of apps are available for streamlining mobile inventory management, there are several apps exclusively built for iPhone and iPad. Finding the good apps from the App Store can be difficult for you because all apps are not equally efficient. There you go: we have cherry-picked the best 10 inventory management apps for iPhone and iPad, which will help you to take fabulous control of your inventory using your iOS device. Tips: If you lost any important message or note, like the notification of your inventory, you can always use Jihosoft iPhone Data Recovery to get back the precious data from iOS device with/without backup. User friendliness and intuitive design are the two USPs of this inventory control app for iPhone. If you are a user, you will get to use the app with hassle-free convenience. The feature of the app allows organizing the items into several folders and sub-folders. You can use five multilevel folders so that categorization can be customized and well-organized. You may add photos in folders as well as you may customize images with tailor-made highlights and resizable arrows. Further you can add searchable tags and notes to folders and items. Also you can schedule reminders for notifying you about purchase date, return timeline, or warranty expiry notification, etc. Here in this app the prime workflow technology is barcode scanning for the entire inventory control and management. 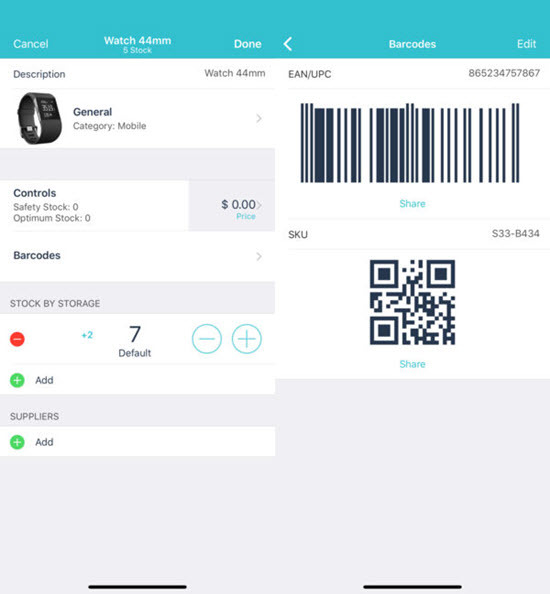 This Inventory Control with Scanner app for iPhone will help you to scan barcode of a product, view the stock and you can get the price information as well. The app offers unique scope of customization. The app can be used offline and it supports multiple currency. 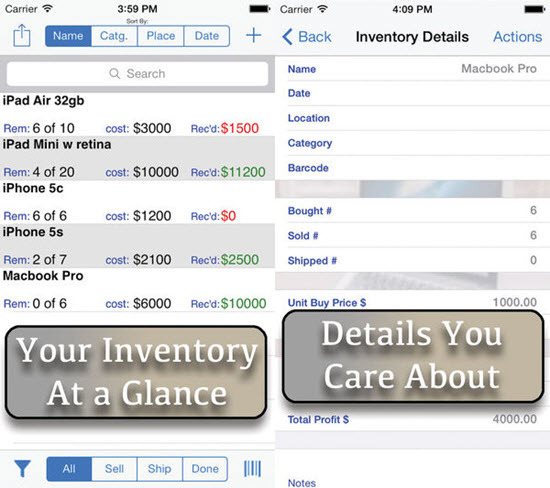 The app Inventory Now will streamline all your inventory need at one go on iOS devices. It is built with several utility features that are versatile and user-friendly at their best. 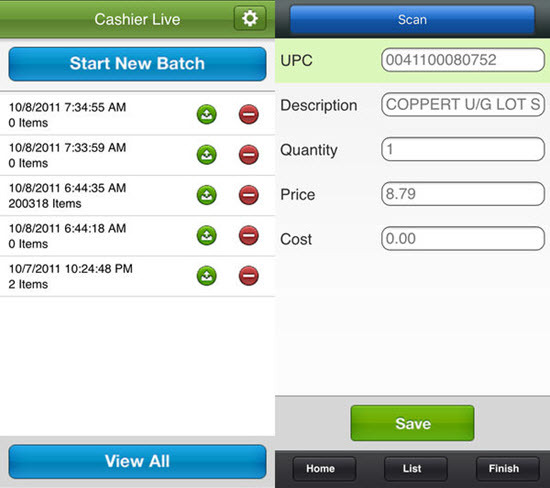 The features of this app include inventory control by filter, sort, and search by date, barcode, category, name, etc. The app includes a barcode scanner: you can select any items and check its details. You may scan a new item by taking its picture and the related QR code. The app will let you know all product details, including life cycle bought, received, sold, shipped and delivered, etc. If functionality and accessibility is your ultimate wish for using an inventory management app, Nano Inventory will sure please you. It’s handy and functional at one point because it will help you in managing stock, product descriptions, tracking expense and income, as well as it will help you in creating reports related to your margin, turnover, and revenue. The app further will permit you to update catalogue, managing stock for different locations; it can work offline so you may work even without the support of Internet. 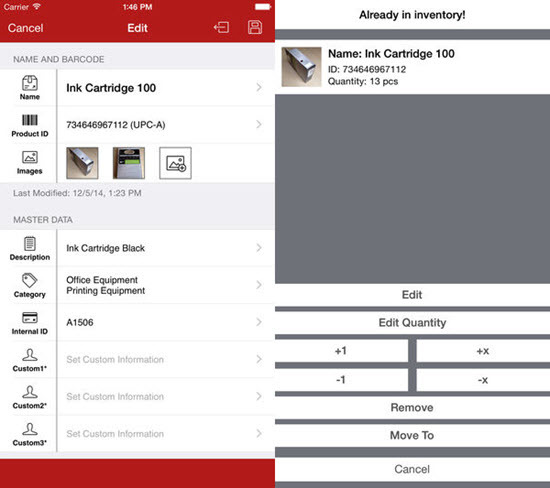 Customizing is the buzz word of this inventory control app on iPhone. It has limited futures but it’s well built in terms of functionality. Users will get to separate their inventory according to personalized categories so that the stock stays streamlined. There is a built-in search tool and that helps in faster navigation through the app’s workflow. 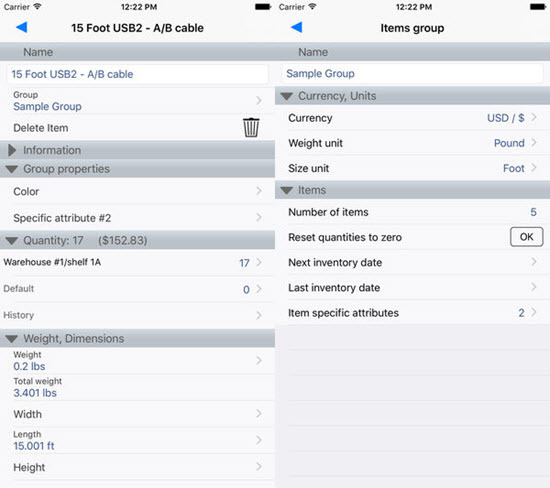 The app has a storage alert feature: it can be used for related inventory management in multiple locations. You will get to use CSV files here and that will allow you to export and import all types of data to use it on your MAC or Windows PC. 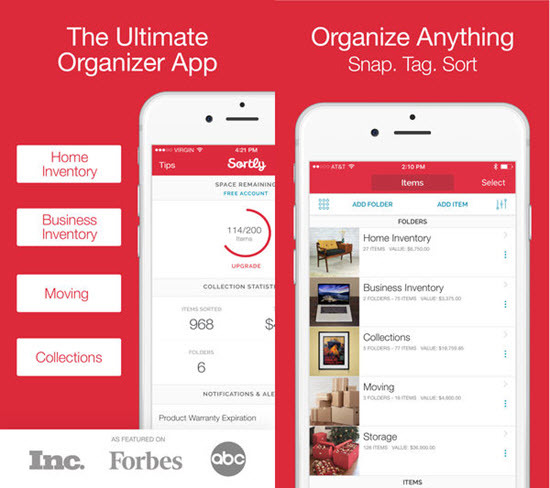 It is an organized inventory management app for iPhone and iPad. It will offer you a unique overview of all stock related data at one go. The app features include multiple modules like order module, product module, an inventory module, sales module and reporting module, and tracking of all inventory details from your iOS device will be easy for you with this app. You may schedule, organize, and maintain your inventory for a meticulous management. For example, product module will help you in product management, reporting module will help you in managing, viewing, and organizing profit, loss, closed orders, etc. Want to perform inventory management in a comfortable style? You can select the app “Inventory List InvTaking” for your iPhone. One of the best privileges of this app is its ability of offering quick synopsis of the entire inventory you have at your fingertips. Your can also get overview from this inventory control consisting of date, category, name, model, code, quantity image, etc. As there is scope for using filters, inventory management with this app is more an organized management. 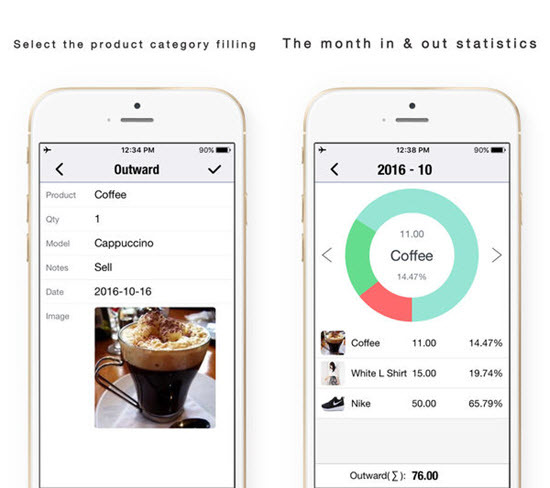 The app also create monthly chart of statistics and allows you to export your inventory details. You can implement password protection and that makes your inventory control more secured on your iOS device. 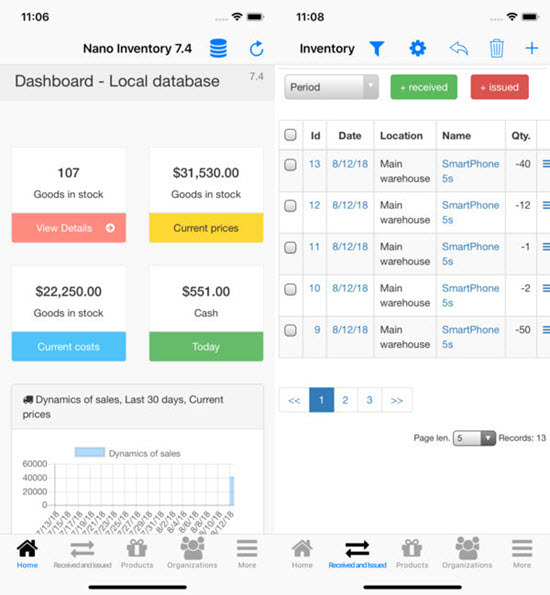 Real Inventory app is rightly called simple utility app as simplicity is the USP of this iOS application. With this app, on demand you can quickly scan the barcode of an item, check the stock, and sync the stock with the cloud for sale planning. Once you download this app, you need to register an account and scan the inventory for its record; the rest of the inventory management protocol will be coordinated by the app. Inventory Scanner X app offers excellent 2-way functionality: scanning (of QR code and barcodes) and inventory management. 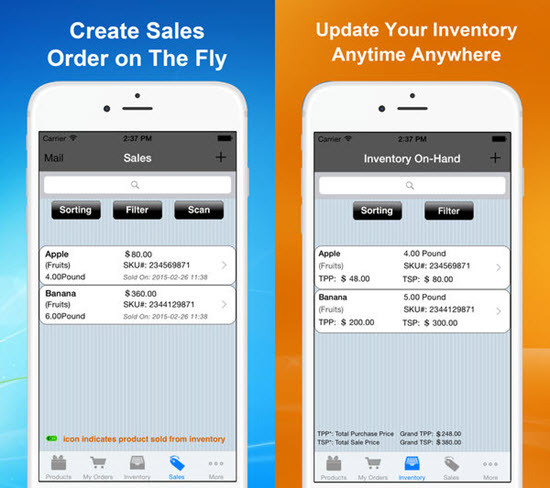 Thus, managing inventory, sales, and order related data turn out to be super easy for the users of this app on iPhone. The app is built with multiple scan mode, for instance, single-scan, continuous (bulk)-scan, and smart-scan, etc. You can manage your inventory in customized way. Want to import your master data and inventory data by CSV files? The app Inventory Scanner X may offer you editable text templates. Furthermore, the app supports wide numbers of codes like UPC-A, UPC-E, EAN 8, EAN 13, ISBN 10, ISBN 13, 2/5 Interleaved (i25), Data Bar, Code 39, Code 93, Code 128, QR Code, etc. 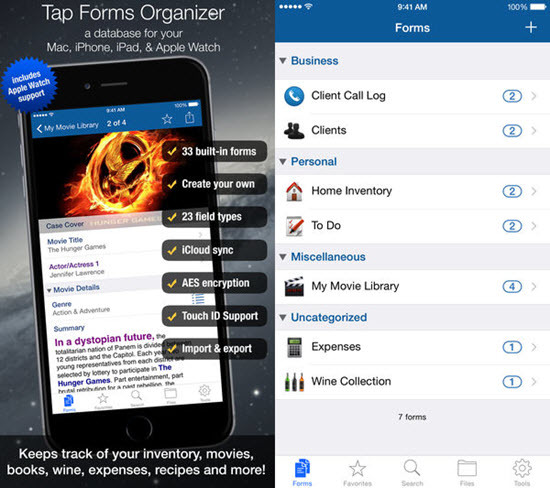 Tap Forms Organization and Secure Database is a versatile, multipurpose app which you can use for business inventory management as well as for personal use like management of insurance inventory and accounting work in a relaxed accurate way. For instance, you may plan your holiday list with this inventory specialist app. The app is built with iCloud integration so that your iPhone data remains syncing with your Mac. Safety is the prime assurance here: all data with this app will remain 100% secured. Inventory management is a tough task and it has to be flawless and time-efficient. No matter how big is your inventory, the apps mentioned here are perfect tools for managing stocks and related details with the best productivity and robotic accuracy. 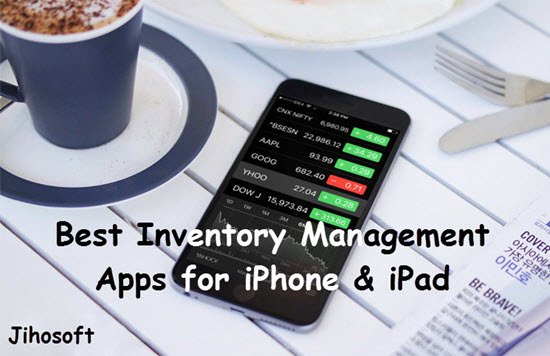 Here we have discussed about 10 best inventory management apps for iPhone and iPad, which will surely make your inventory management as easy as 1-2-3. Let us know your experience about inventory management with these app and share any question or suggestion in the comment section below.